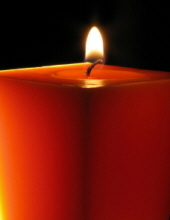 Jan Pietka, 59, of Woodbridge, passed away on Tuesday, November 27, 2018 at Robert Wood Johnson University Hospital, New Brunswick. Born and raised in Poland, Jan came to the United States in 1985. He lived in Brooklyn and Queens, New York before settling in Woodbridge in 2010. He was employed as a maintenance and handyman for the Douglas Elliman Property Management Company of New York City, New York, for the past 18 years. He is survived by his wife of 29 years, Dorota Pietka of Woodbridge; his daughters, Jolanta, Marta and Karolina Pietka; his siblings, Teresa Herda, Krystyna Tyminska and Alicja and Jerzy Pietka, and ; many nieces and nephews. Funeral services will begin at 9:15 AM Monday from Zylka Funeral Home, 513 State Street, Perth Amboy, followed by a 10:00 AM Mass of Christian Burial at St. Stephen’s Church, Perth Amboy. Interment will be at 12:45 PM at Our Lady of Czestochowa Cemetery, Doylestown, PA. The family will friends on Sunday from 3:00 to 7:00 PM at the Funeral Home. To send flowers or a remembrance gift to the family of Jan Pietka, please visit our Tribute Store. "Email Address" would like to share the life celebration of Jan Pietka. Click on the "link" to go to share a favorite memory or leave a condolence message for the family.